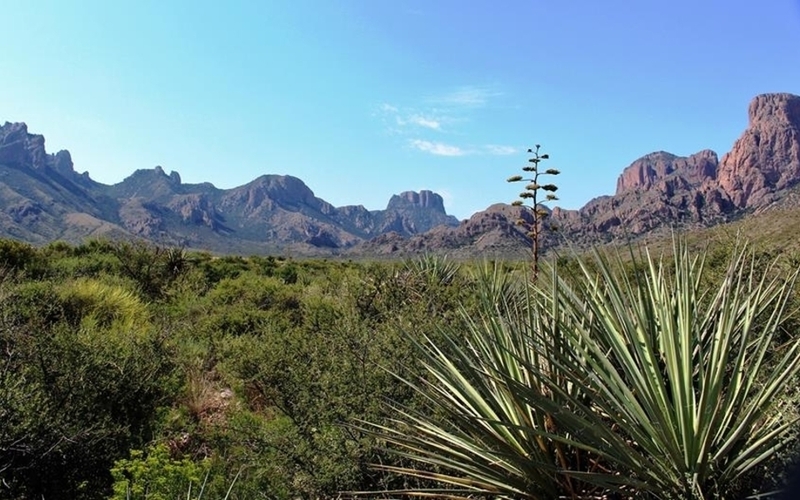 Big Bend is grand in scope at over 800,000 acres. Take a ride down in the early morning to explore the diverse biology and geology that make for a variety of scenic trails and incredible vistas. Visitors come from all over the world for hiking, backpacking, camping amongst the high Chisos mountains, down by the banks of the Rio Grande, and across the desert brush. Make all the preparations you need for an expedition down to the park: wear appropriate clothing, carry plenty of water, and call the park for more visitor information at (432) 477-2251, or visit www.nps.gov/bibe/. Big Bend National Park Texas 79834 EE. UU.